Richard (Rick) Waugh, a biomedical engineer with more than 35 years of academic and leadership appointments at the University of Rochester, will serve as interim dean of one of the institution’s main academic units through June 30, 2018. 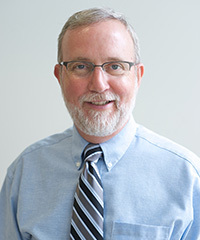 Waugh joined the Rochester faculty in 1980, beginning a 35-plus-year tenure as a teacher, researcher, and administrator. The founding chair of the Department of Biomedical Engineering, he is credited with overseeing the launch of what is now one of Rochester’s fastest-growing and most popular majors. As a scientist, he has been widely recognized for his study of cell and membrane mechanics and the structural basis for the mechanical behavior of cells and membranes. Since 2013, he has served in University roles as a leader in efforts to expand research initiatives and funding, as well as Rochester’s prominence as a research institution among the nation’s universities.